"For some years now, I've been having a rooter guy come out to my house to unstop my mainline. Well, now it seems to be happening more often. They've been out already this year, now my line is slow again and I expect I'll have to call them in again. Is this normal?" I bet you're frustrated! 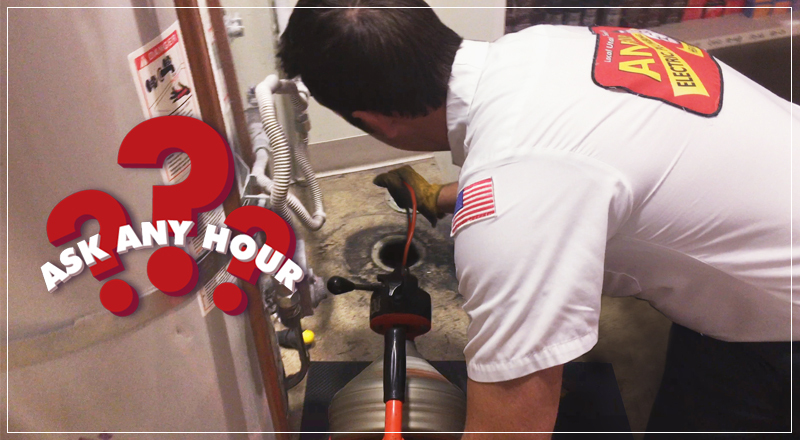 Those rooter calls are expensive and scheduling a technician takes time out of your life. And if there's anything we hate, it's something that loses us both time AND money. Let me start by explaining what's happening when you get your sewer mainline rootered. The technician sends a long cable (or "snake") down your drain that has a drilling head attached to the end. This head bores a hole through the roots or debris in your drain and allows the line to begin moving - temporarily. You see, a lot of the blockage remains behind, to snag additional objects as they pass and create a new clog. Many companies also offer a service called hydro-jetting. Here, a cable is again sent down the line, but this time the line has front and rear-facing high-powered jets on the head that clears, cleans, and forces all objects and debris out of the line. While this can be an effective way of cleaning out your main line, it sounds to me like you've got a bigger problem on your hands. There are only two reasons you should have a backup. One, you flushed something you shouldn't have. Two, your pipe is damaged, causing misalignments, bellies, or roots in your line. If your problem was only due to a foreign object in the line, a rootering should have cleared it out and you should be good to go. The fact that you have to keep addressing the problem year after year - coupled with the fact that it's getting worse - means it's time to get a drain tech out to camera your line and check the status of your pipes. You need to start talking main line repair. Fortunately for you, there are many options out there from spot repair to full excavation. Make sure your drain company can give you plenty of options so you can find one that works with your needs and your family's budget.